As you probably already know, I'm a huge fan of highlighter. Once I got Champagne Pop by Becca for Christmas last year, I was pretty hooked on that and never wanted to use another highlighter again! 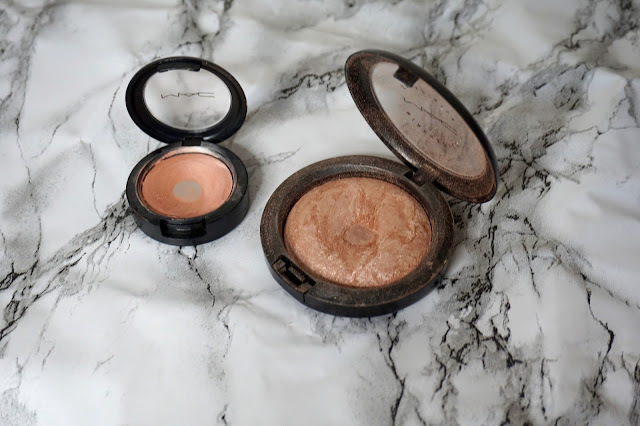 As I had so many pretty highlighters lying around, I decided to make an effort to use something different - and doing so has led me to find this incredible combination! I got MAC Soft & Gentle years ago, when it was all the rage amongst beauty bloggers. It does verge on the slightly glittery side of highlighters, but it's an old favourite and I do like it for laying highlighters for a more intense look. It's a universally flattering champagne shade, and comes out more subtle than the likes of Champagne Pop. It also contains Vitamin E, which has antioxidant properties and is super beneficial to ageing skin. This, paired with the Mineral complex in all MAC MSF's makes it perfect for all ages and skin types, as it is moisturising and won't dry your skin out or look cakey on the skin. I've been laying Soft & Gentle over the Cream Colour Base in 'Hush'. I remember watching Pixiwoo use this in a video YEARS ago, and I immediately went out and got it. As you can see, it's been very well loved. It's a beautiful pink toned champagne colour that is a beautiful subtle highlighter on it's own. The Cream Colour Bases can be used on the skin, eyes or lips so a great one for makeup artist kits or someone looking for a multi-use product (obviously some shades are more multi-use than others!). 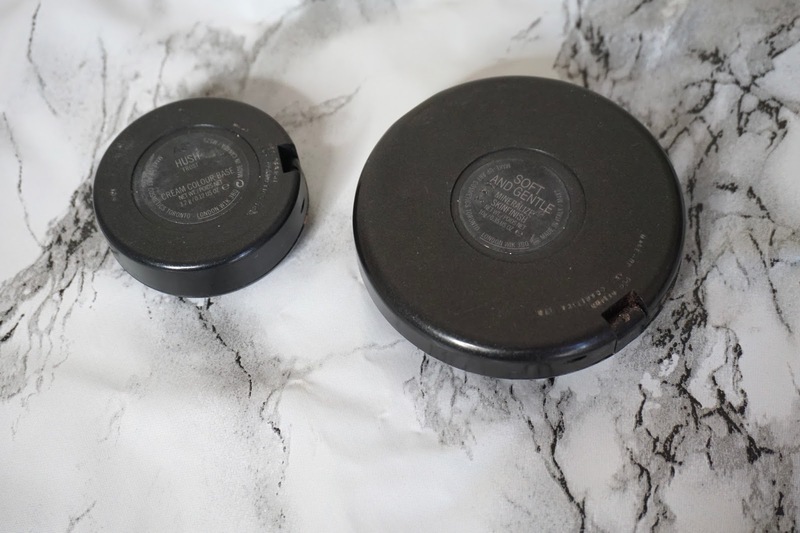 This is a long wearing formula on it's own, so adding the powder on top makes it super long lasting. It's also fragrance free (great for sensitive skin) and water resistant! What have been your favourite highlighters recently? Let me know in the comments!